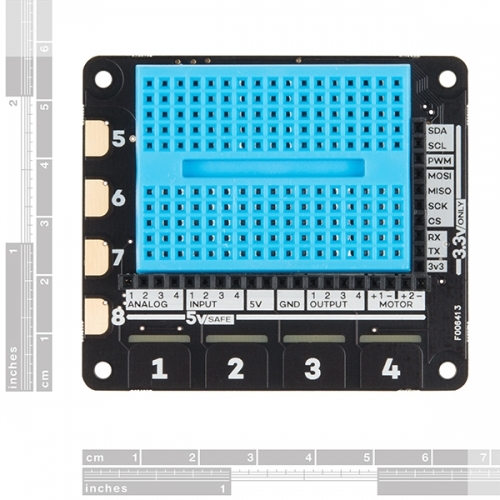 The Pimoroni Explorer HAT Pro is a "shield" for the Raspberry Pi and provides you with the perfect prototyping sidekick for your Pi. 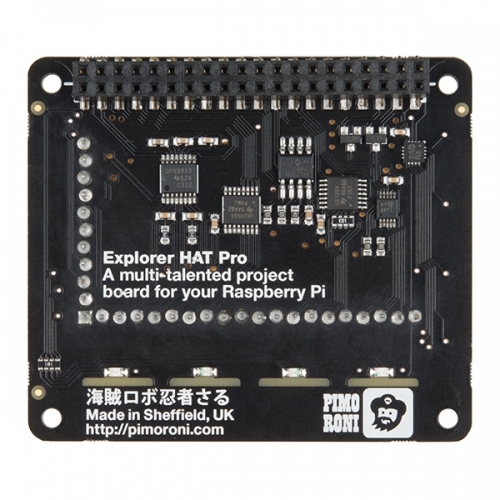 The Explorer HAT Pro has a heap of useful input and output options that will take your Raspberry Pi projects to the next level. 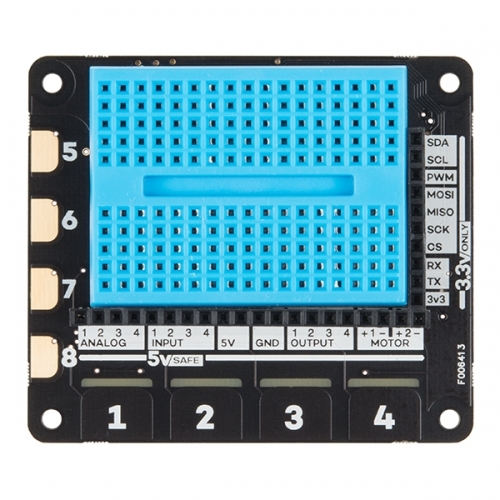 This add-on board is great for driving motors, using analog sensors, interfacing with 5V systems and touch (even fruit-based!) interfaces. 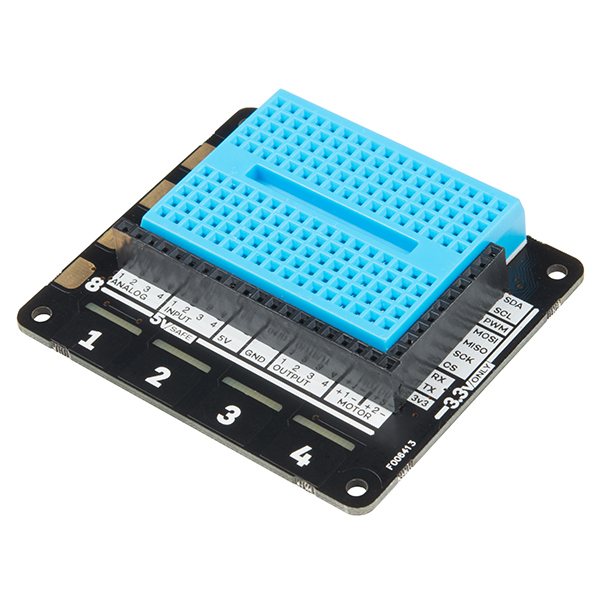 Each Pimoroni Explorer HAT Pro easily snaps on top of a Raspberry Pi equipped with a 40-pin (2x20) GPIO. Pimoroni has created a GitHub repository bundling the Explorer software with a set of examples to get you started in an easy-to-use Python module to get prototyping right away.